The future of motor vehicle claims, bringing predictability to the vehicle repair process. Our world-leading digital claims management platform Hello Claims, and smart assessing methodology, enable fleet managers, insurers, claims managers and smash repairers to achieve faster and easier automated claims, and a better customer experience. 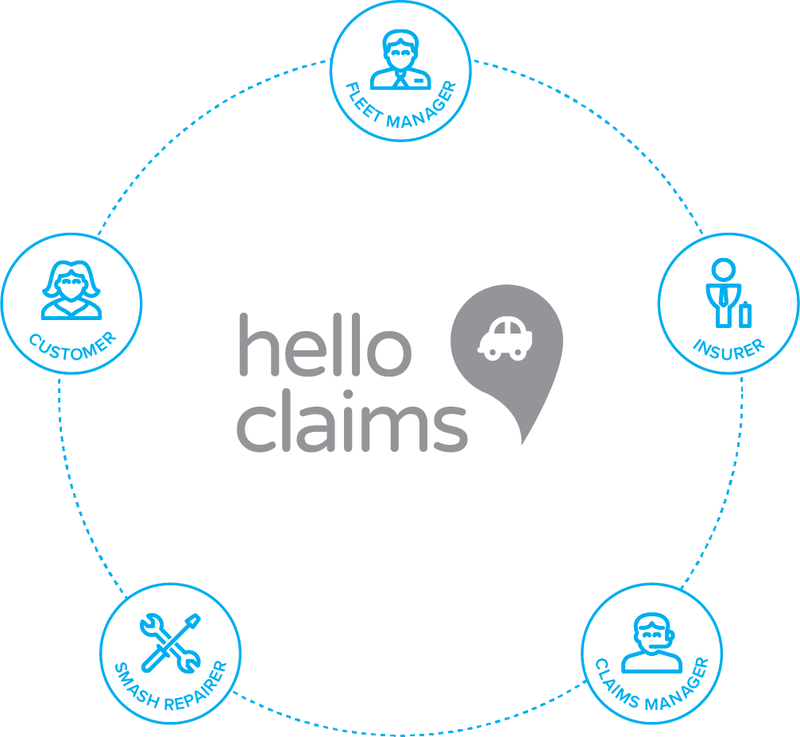 Our online motor claims solution Hello Claims, puts customers at the centre of the claims process, addressing the entire customer claims timeline: Notification (virtual damage assessment); Core Claim; and Settlement. Our First Notification of Loss solution allows the customer and the claim handler to share the same visual information in real-time about the nature of the incident. Our partners can act quickly on incident details provided by the customer from their smartphone, allowing for an immediate and accurate assessment of the cost of the claim. Customers are guided through photo, video and documentation upload instructions, to provide an accurate representation of the vehicle damage. Customer submitted data informs desk-based assessors about the nature of the damage of a vehicle or loss, saving significant costs compared to relying on field or smash repair visits. Sign up here for a daily newsletter of key insurtech and insurance news for Australia and New Zealand. Need to pay your excess, contact Claim Central, or learn how the claim process works? For our existing 1,000+ trades, or those looking to join up - everything you need is at the Trades portal.